Ohh, that is looking fine. Is it going to be transparent? That looks fantastic. I'd be very happy if we ended using it. If you're still welcoming suggestions for it, how about some snow particles floating around? 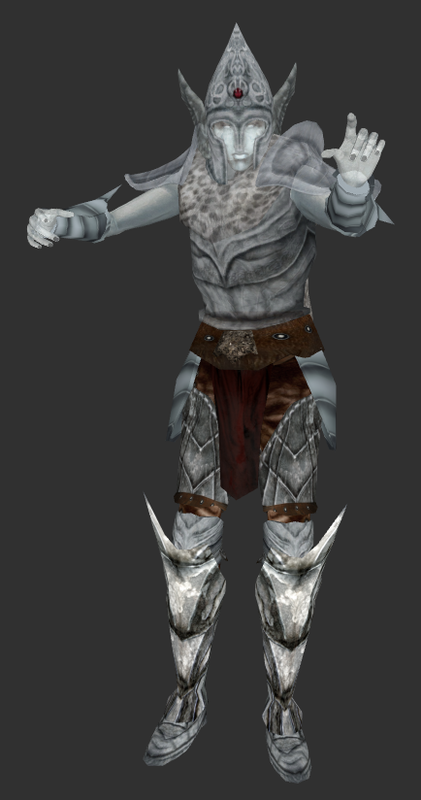 Giving him a cold blue glow texture, like this one by PeterBitt might turn out cool, too. I'm a fan of the eerie atmosphere that texture creates. What a pretty lil' thing. Great job. Sounds like a good thing to have in the Tomb of the Snow Prince. I'm not sure how much use we're gonna have for it in the near future, though. The few Falmer ruins we might include are far to the east, and in the most remote and frozen parts of the mountains. 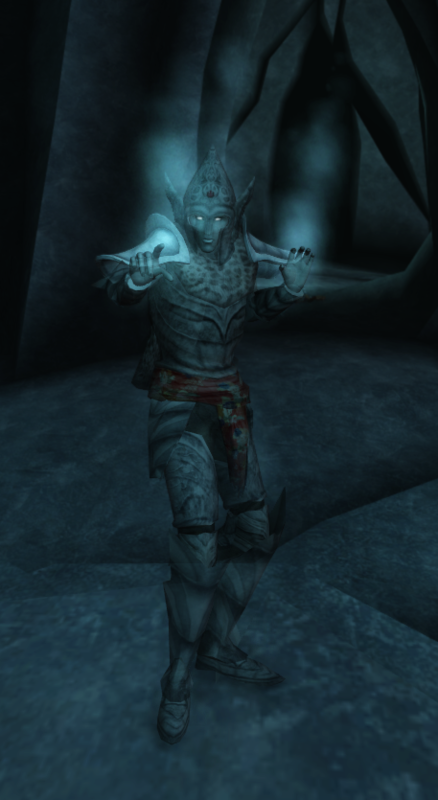 Seeing a Falmer spectre should be a unique experience, just like discovering actual remains of the Snow Elves should be. Generally we swing towards keeping the Falmer a mystery as much as we can. I wouldn't include it as a generic enemy, but perhaps as a boss fight or unique enemy found in one of these ruins. This is looking pretty damn fantastic. While it would be unfortunate to make this a rarity during actual gameplay, I agree with roerich that the Falmer should remain as obscure as possible. It would make an encounter with this guy infinitely more meaningful and spectacular, though.